BOZEMAN, MT -- Simmental sires are now recognized by Integrity Beef Alliance (IBA) as part of their value-added program. IBA is a comprehensive beef production system, through which members can utilize standardized management practices, marketing outlets, data utilization, assistance procuring replacement cattle, and additional support. IBA's Terminal Calf Program provides members with the option of participating in a value-added calf sale and offers producers additional support such as data consultation. The Replacement Female Program offers producers the opportunity to market females to IBA Terminal Calf Program participants. IBA helps members produce a product that exceeds consumer expectations. Bozeman, MT — International Genetic Solutions (IGS) is an unprecedented collaboration between progressive breed associations fervently committed to enhancing commercial profitability. The collaboration has yielded the world’s largest genetic evaluation of beef cattle with over 17 million animals and 120,000+ genotypes. In keeping with our commitment to the cattle industry, IGS is pleased to announce the IGS Multi-breed Genetic Evaluation powered by BOLTTM. The new genetic evaluation provides more predictive EPDs, better use of genomics, more accurate accuracy reported with EPDs, all with weekly evaluations. The announcement ushers in a new era in genetic evaluation — an era made possible by a genetic evaluation system dubbed BOLT (Biometric Open Language Tools, owned by Theta Solutions, LLC). The concept for BOLT started in 2014 as a research endeavor between the American Simmental Association (ASA) and Drs. Bruce Golden and Dorian Garrick. BOLT is, quite simply, the most revolutionary and powerful genetic evaluation system in existence. Its power allows IGS to leverage genetic evaluation methodology that was once thought to be untenable on large databases — methodology that significantly improves genetic prediction. In December of 2016, IGS published a multi-breed stayability, the industry’s first EPD using BOLT and the first single-step methodology applied to a large beef cattle database. Since that time, the IGS genetic evaluation team has worked toward fully implementing BOLT with an automated system that enables weekly evaluations for an entire suite of EPDs. As of May 4th, 2018, ASA is the first of the IGS partners to publish a full suite of EPDs generated by the IGS Multi-breed Genetic Evaluation powered by BOLT. Each IGS partner has complete autonomy to determine the release date that best fits their organization. As such, the release of EPDs by the other IGS partners is likely to be staggered over the next several weeks. As always, we look forward to your questions and comments about what you see. It is well established that DNA markers vary greatly in their effect on traits - ranging from large to virtually no impact. To leverage this biological fact in a statistically advantageous manner, the BOLT single-step method only uses markers that have a meaningful impact on the traits of interest, while ignoring those that have little to no effect. Research has shown that by using this approach, BOLT reduces statistical "noise" and thereby increases the accuracy of the EPD prediction compared to other single-step methods. More accurate accuracy. In the previous IGS evaluation platform and all others in existence other than BOLT, the calculation of the accuracy associated with each EPD is achieved through "approximation" methods. It has long been known these methods are a less than optimal approach to the calculation of accuracy - tending to overestimate accuracy. By employing unique computing strategies that leverage both software and hardware efficiencies, BOLT performs what was previously unthinkable - utilizing a sampling methodology to calculate what is essentially true accuracy. Unlike approximated accuracies, BOLT-derived accuracies will result in predicted movements associated with possible change holding true over time. This is not the case with the previous IGS software or any other system currently in existence. While the IGS evaluation team and partners are excited to release this new chapter in genetic evaluation, the new genetic evaluation system will only realize its true potential if selection is made using its EPD and index values. Hands down, there is no better (more accurate) way to select for quantitative traits than an EPD. Economic indexes predict net profit by weighing the EPD for economically relevant traits coupled with economic estimates. To compete with other protein sources, it is imperative that the beef industry adopts the best science and technology to make better breeding selection decisions. Dr. Mahdi Saatchi, American Simmental Association (ASA) and International Genetic Solutions (IGS) Lead Genomicist, recently traveled to Aotea Centre Auckland, New Zealand, to attend the 11th annual World Congress on Genetics Applied to Livestock Production (WCGALP). Held every four years, the WCGALP draws scientists together from around the world to attend the scientific program and network with colleagues. Over 1,400 attendees representing 70 countries were at the event held in February. Dr. Saatchi gave an oral presentation and took part in a poster session to display his work. In addition to giving presentations, Dr. Dorian Garrick, who along with Dr. Bruce Golden developed ASA’s new genetic evaluation software program (BOLT), was heavily involved in the management of the event. Frequent ASA collaborators, Drs. Matt Spangler and Bob Weaber were also in attendance. Bozeman, MT - The American Simmental Association (ASA) has launched a new research project in partnership with GeneSeek, Inc.®, aimed at collecting female genotypes from whole herds. 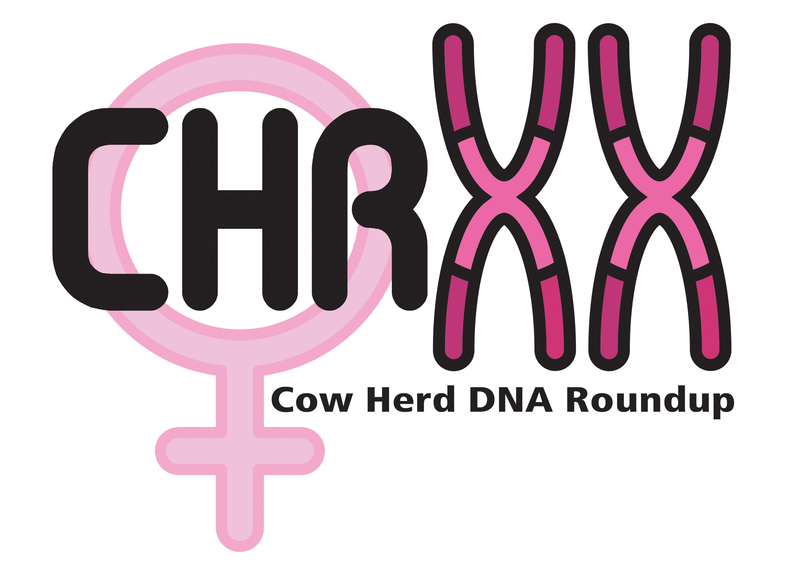 The Cow Herd DNA Roundup (CHR) offers ASA members the opportunity to genotype entire cow herds at a fraction of the regular cost, with the goal of incorporating vast amounts of genomic data into the ASA genetic evaluation. Female genotypes are rare and valuable, especially to predict maternal traits such as Stayability and Maternal Calving Ease. Only genotyping the best cattle can create bias in the genomic prediction; therefore, genotyping the entire cow herd is very valuable to the genetic evaluation. Imagine you had to find bulls for your operation but you didn’t know any breeders, nobody used EPDs, or even shared actual data. It’s obvious to anyone interested in building quality cattle and maximizing profit this would be a major blow to the bottom line. Yet, this is how the feeder calf business exists today. Frequently, when purchasing quality feeder calves, we can receive crucial information regarding environmental factors such as management and health protocols, weights, etc. However, when it comes to genetic awareness, color and polled status are often asked to substitute for true knowledge.